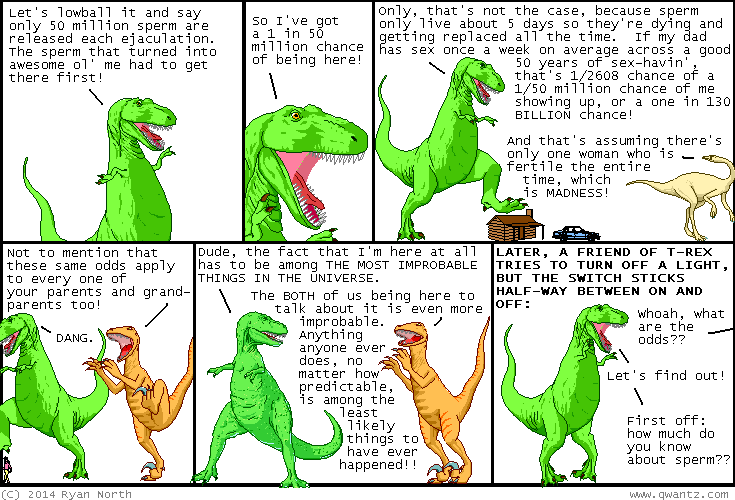 Dinosaur Comics - July 9th, 2014 - awesome fun times! July 9th, 2014: If you're not starting every answer with "First off: how much do you know about sperm?" then all I can say is, wow, you're probably getting asked more questions than me, huh? ?